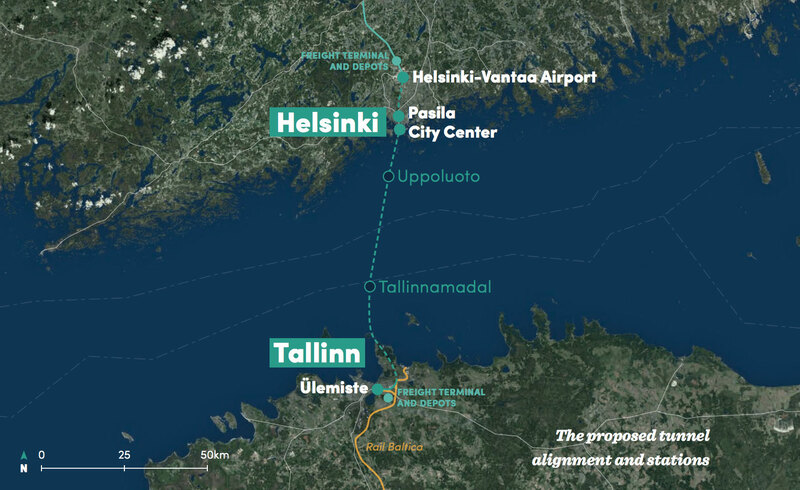 It would connect the heart of Europe with the Arctic region, Finnish minister Anne Berner says in a presentation of a projected underwater railway connection between Helsinki and Tallinn. Berner was one of the key speakers in today’s presentation of the FinEst Link project, a feasibility study financed by EU money. The project includes the study of a 1435 mm gauge railway tunnel with two rail tunnels and a service tunnel. «The tunnel would together with the Rail Baltica railway project and the Arctic railway line connect the Arctic region with the heart of Europe via Finland,» Anne Berner says. «It could thus be a significant project for all of Finland and Europe, not only for Helsinki and Tallinn,» the Minister of Transport and Communications underlines. According to Berner, the Arctic region is of growing importance from the viewpoint of both the Nordic countries and the EU. Well-functioning transport and telecommunication connections in turn are a prerequisite for the sustainable development and growth of the Arctic region, a press release from the ministry reads. The report presented in Tallinn today outlines a demand in passenger transport and goods across the Gulf of Finland of respectively 23 million people and eight million tons of cargo in year 2050. Travel time through the tunnel is estimated to about 30 minutes and passenger trains would have a frequency of 20 minutes at peak hours, a brochure shows. According to the project managers, the tunnel project could be economically feasible by using a public-private partnership model where the private sector finances the building of the tunnel, and an EU grant would be needed to cover 40 percent of the costs. After becoming operational, the ticket revenues from the trains and tunnel fees would cover the annual operational and maintenance costs. In addition, annual subsidies of about 280 million euros will be required from Finland and Estonia for up to 40 years. The project is run by a group of managers from the cities of Helsinki and Tallinn, the Helsinki-Uusimaa Regional Council, the Harju County Government, as well as the two countries’ Ministries of Transport and Communications. The Finnish government sees the Baltic connection as part of a bigger plan on turning Finland into a key European logistics hub. 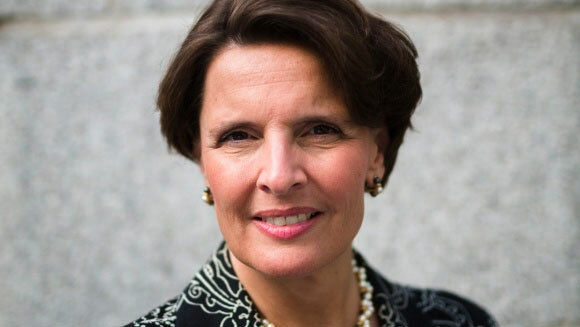 In few weeks, Anne Berner and her ministry will present another report, one of a possible railway connection to the Arctic coast. The report, due to be presented in March, will outline alternative routes, among them a line from Rovaniemi to Kirkenes on the Barents Sea coast, and from Kolari to Tromsø.